I don’t know about your house but there was a flurry of excitement in mine when the new Ghostbusters came out at the theaters! Girl Power! 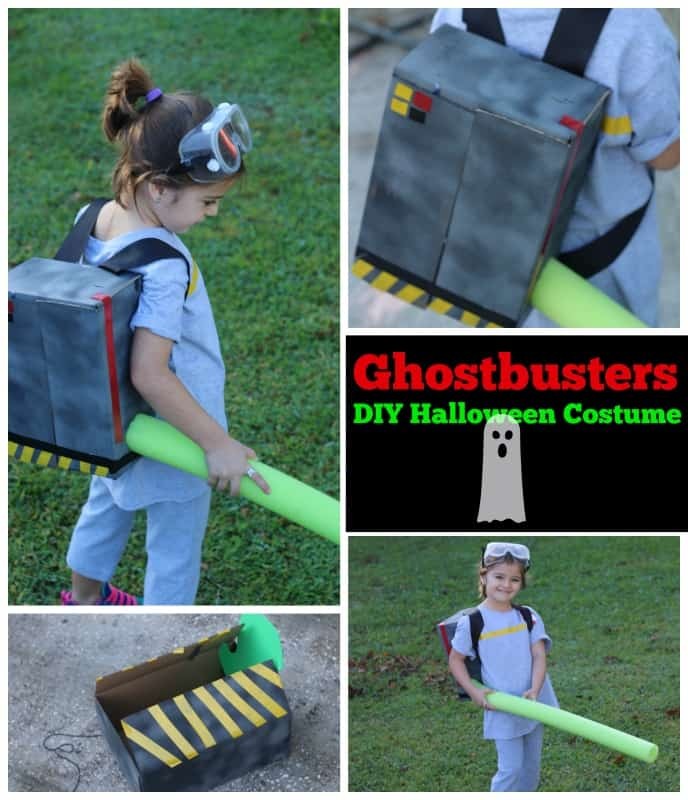 I had a little girl who wanted to be transformed into a girl Ghostbuster so what was a mom to do? Whip up an inexpensive costume of course. After a quick trip to Walmart we had everything we needed to put it together. We had to throw the costume on right away and have a family movie night with the Ghostbusters Extended on Blu-Ray Edition– over 15 more minutes of action not seen in theaters and 3 hours of extras. 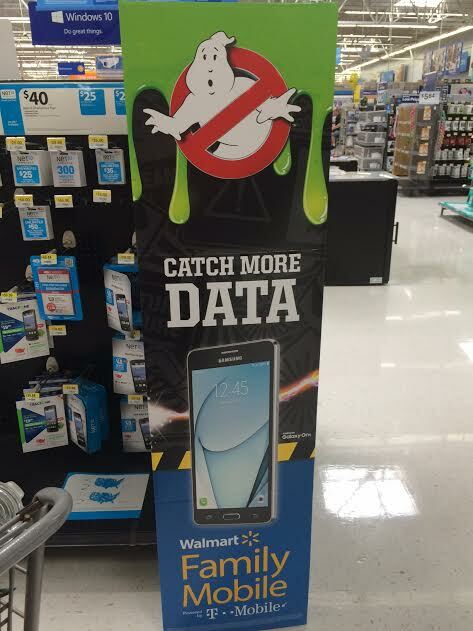 With the help of Walmart Family Mobile and Ghostbusters we had a great movie viewing! I wanted to share my costume DIY and pics from our movie night with you! 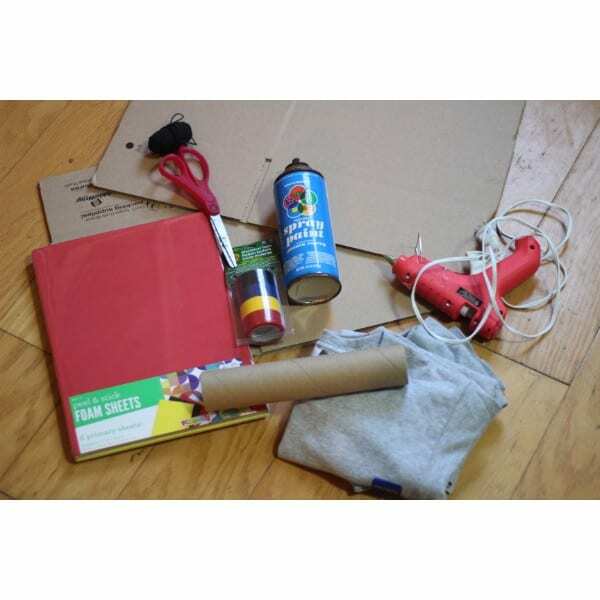 You can upcycle cereal boxes if you wish but the slick cardboard doesn't take the paint very well. I hopped over to the office supply section and grabbed 2 plain brown shipping boxes for $.58 each. 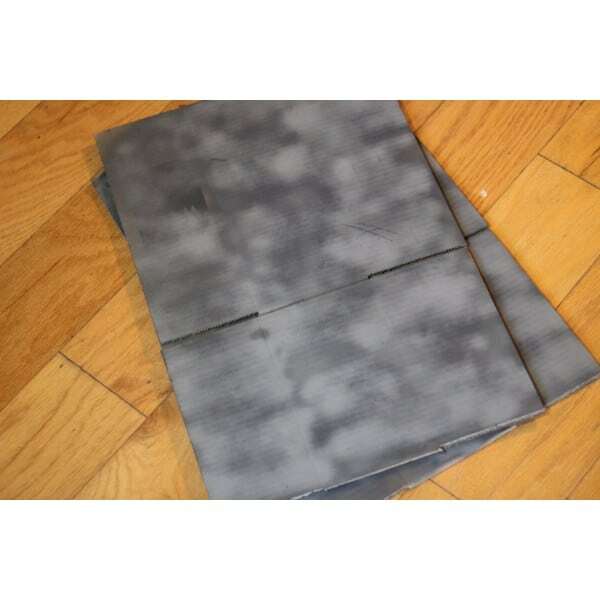 Spray paint boxes front and back with black paint, giving them several coats, while they are drying you can work on the uniform. 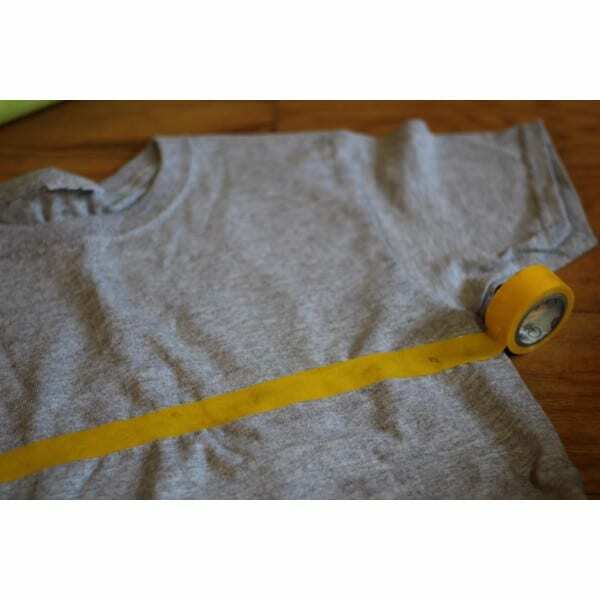 Lay a piece of yellow electrical tape across the center of the chest, smooth shirt out well first so it doesn't gather, repeat on the back. 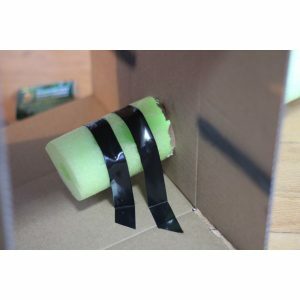 Once your box is dry trace the end of your pool noodle on the side of the box, cut out the hole and slide noodle in, secure with tape to hold in place. 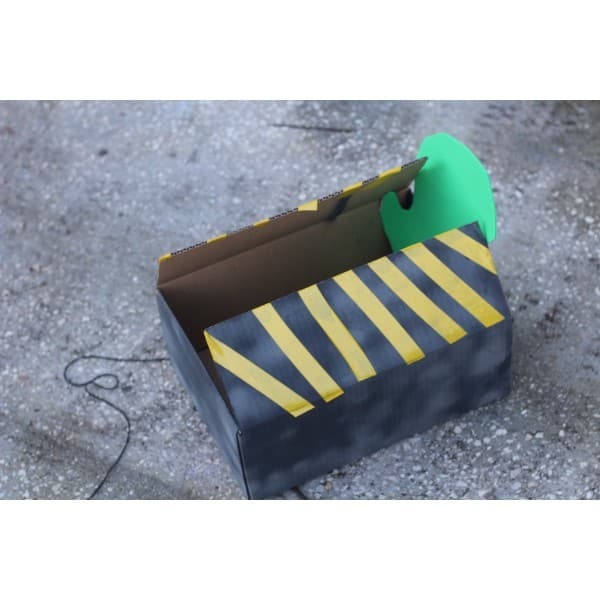 Add buttons, tubes, and other details like the caution yellow and black stripes on one box with pieces of electrical tape cut into squares and lengths for your proton pack. Measure straps for your child, I used 3″ wide black ribbon that I had on hand. Hot glue the ribbon into the flaps that will be against your childs back, then hot glue the other side. You will need to hold in place while it sets. 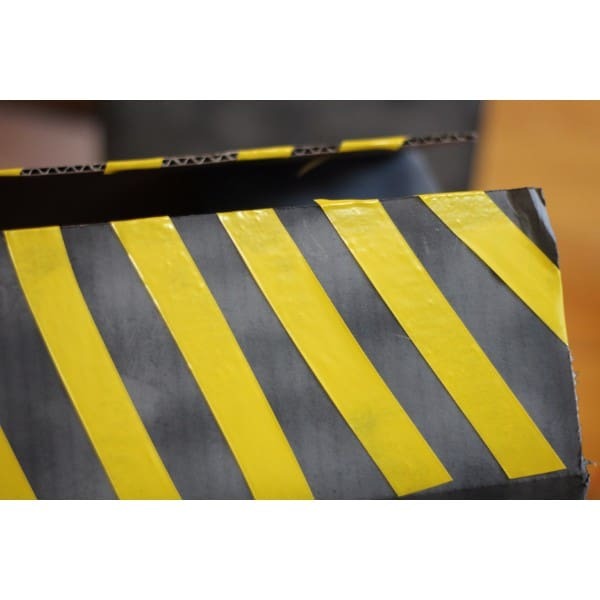 For the ghost trap you just need to place diagonal strips of yellow on the flaps and tape a ribbon or cord to the end to toss the trap out for ghost catching! We also added a cute little foam ghost to ours. Secure the bottom with hot glue so it sits well. 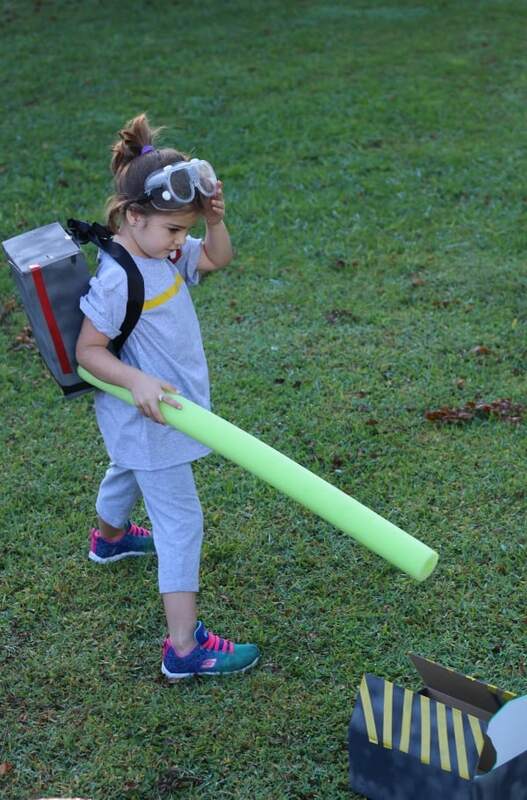 For less than $10 and in less than an hours time my girl power Ghostbuster was ready to go and she loved it! Grab your copy of Ghostbusters Extended Edition Blu-Ray,DVD and 4K UltraHD at Walmart. Check out the trailer for Ghostbusters HERE! I grabbed a new fuzzy blanket for movie night, the Ghostbusters Extended Version for Blu-Ray and my new Walmart Family Mobile phone. 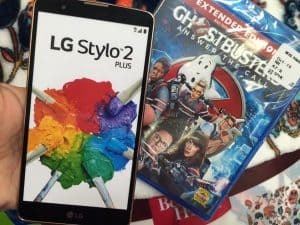 An LG Stylo2 Plus Smartphone for $199- it has a ton of great features! All ready for a fun movie night! 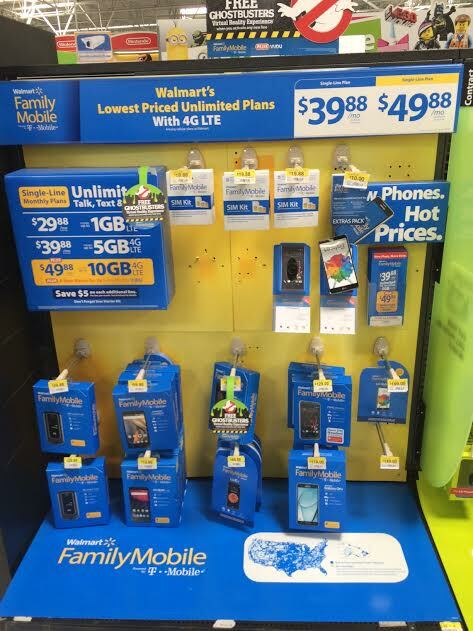 What do you get with the Walmart Family Mobile Plan? Loads of great phones to choose from like the LG K7 and plans like the Walmart Family Mobile PLUS Plan = Unlimited Talk, Text, & Data which includes up to 10GB of 4G LTE plus a free movie on VUDU every month ($7 value) per line for $49.88. The Nano Starter Kit is on roll back and since Family Mobile bills you later, you only have to pay $19.88 when you sign up! 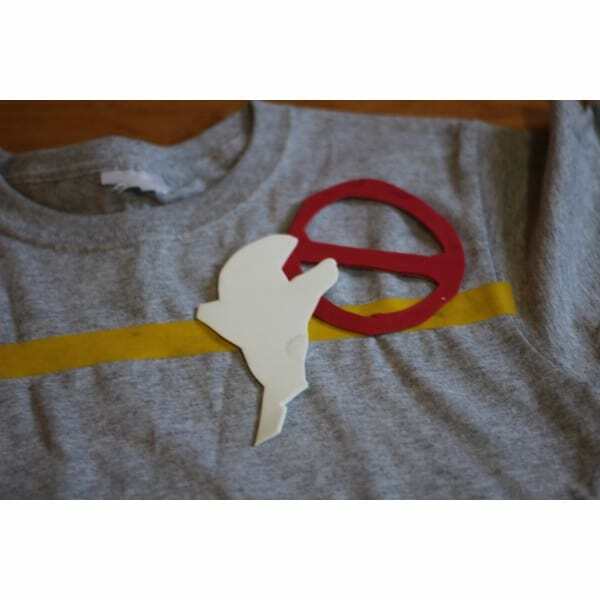 Look for the fun Ghostbusters signage! With sign up you also get a free VUDU on a new release rental, perfect for enjoying a family movie night on the big screen via Chromecast, SmartTV, or Roku! With 10gb of 4G LTE you can post your cute Halloween pics on social media, check your email, text family, and more-without running out of data! 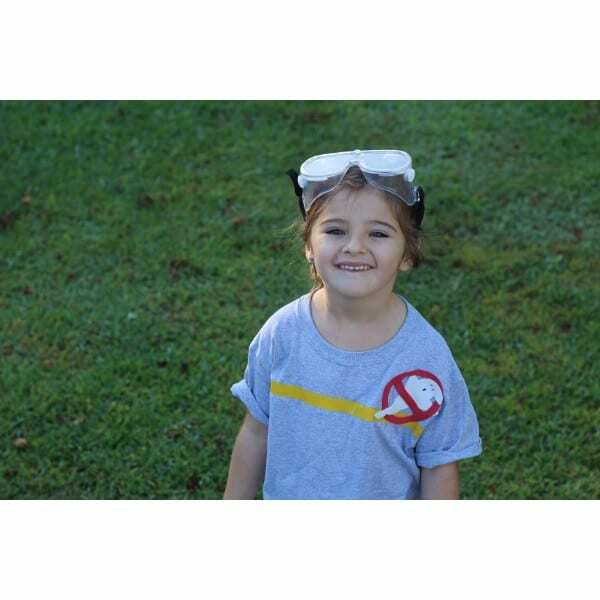 Another gratuitous cutie Ghostbuster pic ahead…. OMG, I love this costume! My girls love Ghostbusters and we just rented the movie a few weeks ago right before Halloween. What a great idea! Your daughter looks adorable and loving her costume! 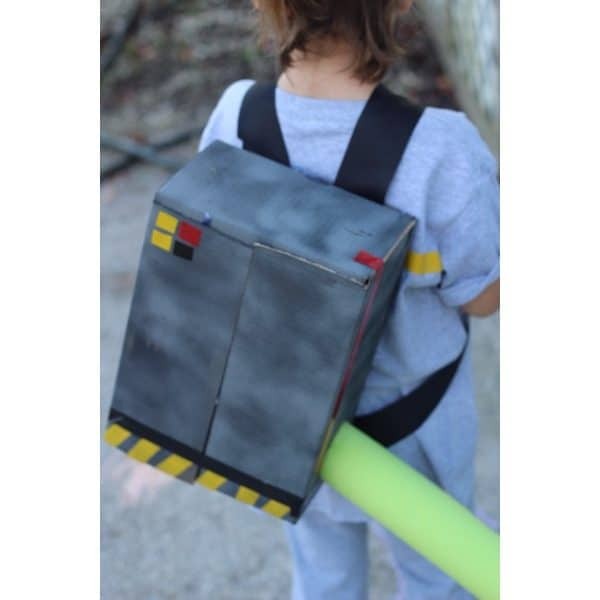 You did a fantastic job with this DIY costume!